We have all dealt with “YAN” in one form or another over the past few years. YAN stands for Yet Another Network login. This stems from brands using proprietary authentication methods vs. leveraging Open Authorization (OAuth) such as Facebook’s Graph API (OAuth 2.0). To put it simply, brands like to use their own username & passwords vs. allowing a user to login with their Facebook or Twitter ID’s. YAN is an even bigger issue when combined with the fact that 88% of online buyers had at some point intentionally left registration information blank or used incorrect information when signing up for a new account, up 12% from 2010. Also, the expectation of consumers for brands to support Social Sign-On has increased significantly as eMarketer and Janrain recently reported that consumer desire for Social Sign-On has increased to 77% of US Online Buyers in 2011. The importance of leveraging a single sign on authentication platform that is socially enabled becomes the key to unlocking a brands social CRM strategy. The reason for this is that Social Sign-On can lower the barrier of entry for a user, increase validity of data via the users social graph as well as increase stay rates. According to recent research from Gigya, web users who log into 3rd party sites with Facebook’s Graph API spend 50% more time on those sites, and view twice as many pages. Think about the impact to a Fortune 500 retailer with 50% increase in stay rates and how that may impact purchase frequency. 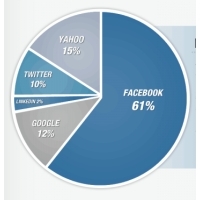 When it comes to selecting which service is ideal for your brand, Gigya also released information that shows that Facebook accounts for 61% of those social logins. 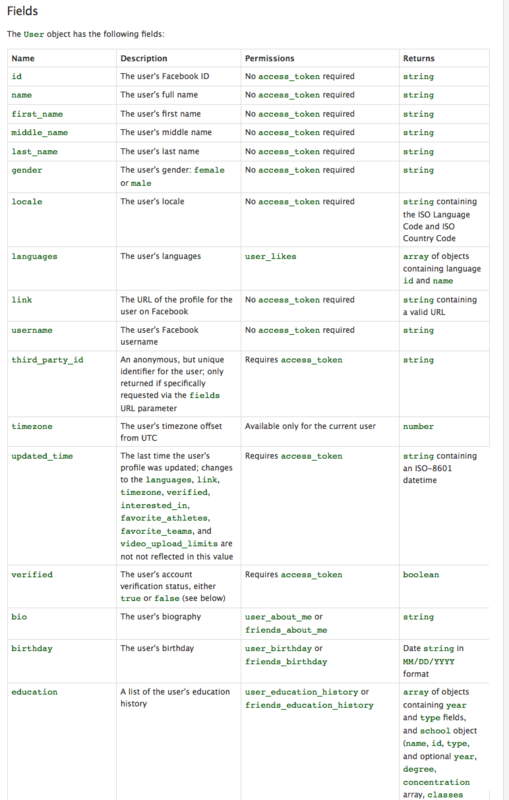 Where social sign on really gets interesting is when a brand leverages an OAuth solution, such as Facebook’s Graph API. Instead of depending on a user to input a few sets of pre-determined data, you potentially have access to 180 data points to associate with the user. 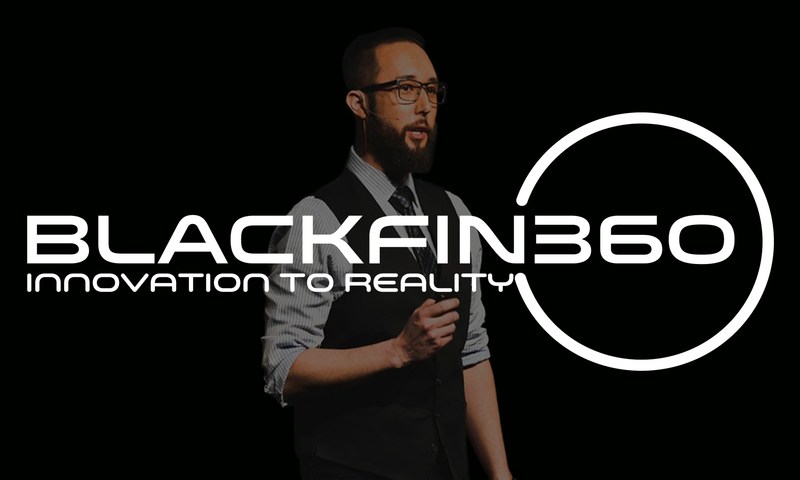 This includes the ability to access data tied to their feed, friends, activities, interests, music, books, movies, television, likes, checkins and more based on the users privacy settings. This increases the probability of accurate subscriber data as well as the ability to append your proprietary questions on the back-end of the authorization of the user. Users in this scenario are more likely to share information as they are not repeating the information process. This also means that for a brand, the ability to build a robust profile around an individual beyond the standard data points such as basic demographic data and purchase history becomes a reality. 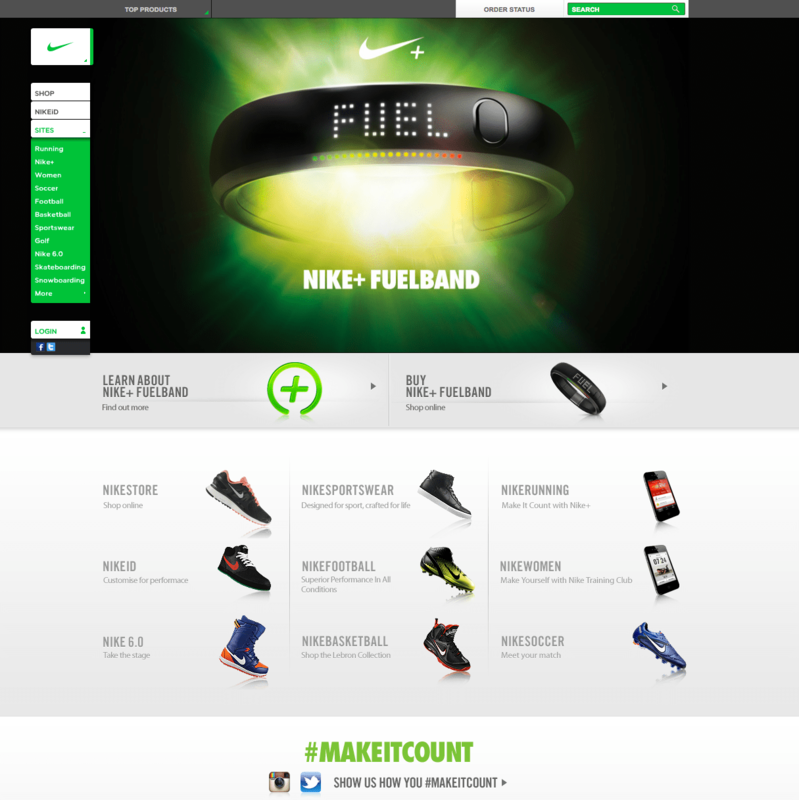 One of the more progressive brands when it comes to Social Sign-On is Nike. Nike offers multiple options for authentication. A possible user scenario is as follows. Nike is about to become the uniform provider for the NFL in the upcoming 2012 season. 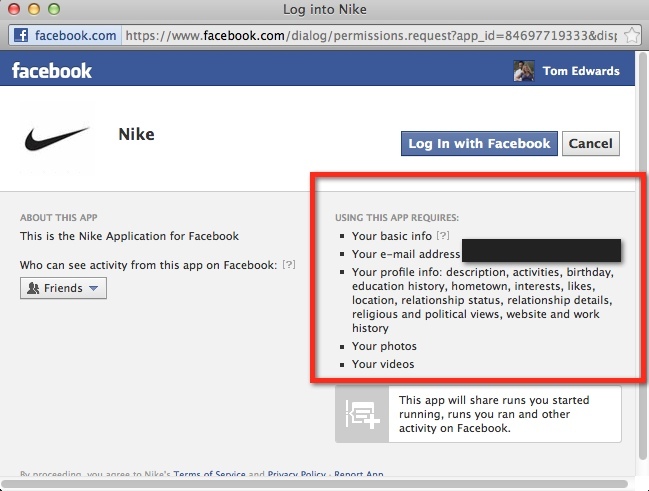 Imagine if Nike had the ability to quickly scan the profile data of those who have authenticated via social sign-on and find team & athlete related Likes, game Checkin’s from the last season (Timeline makes this even easier), team related status updates, etc… tied to the users NFL team & players of choice. They would be able to proactively target those users with highly targeted and relevant offerings around the upcoming seasons jerseys and other merchandise that the user would then be compelled to engage. This solution combined with other integrated tactics would most likely net better results than engaging in a mass e-mail/traditional campaign. Moving forward, the brands that understand how to leverage the immense amounts of data that individuals are providing via their social graph and then create relevant & highly targeted outreach campaigns will be the brands that will capitalize on socially enabled commerce. 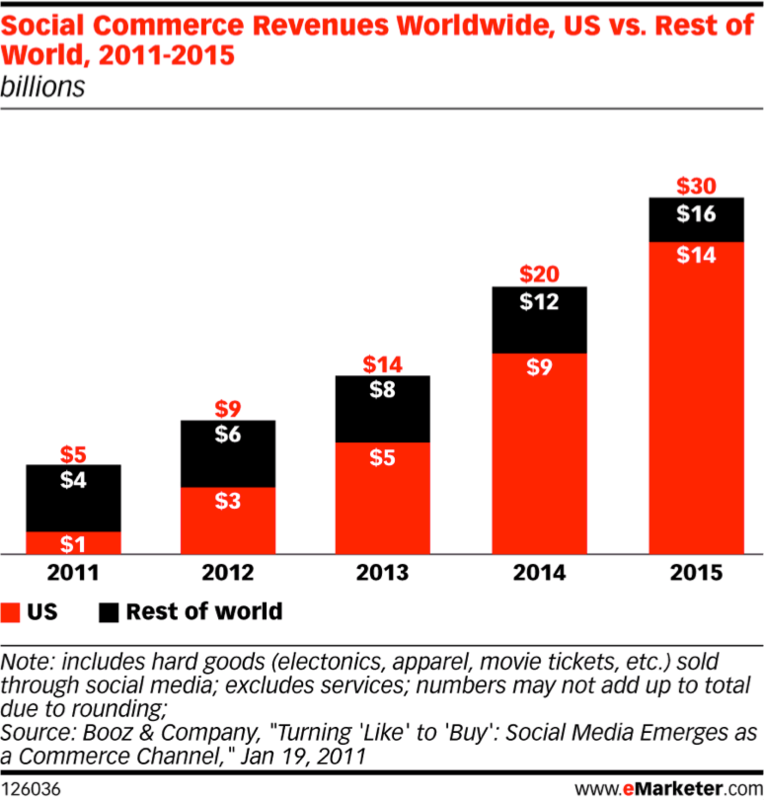 As e-marketer shows below, in 2012 $3 billion in goods will be sold via social media this number jumps to $14 billion by 2015. The key to this trend is not just positioning products via social channels, but lowering the barrier of entry, mapping CRM & social graph elements as well as highly targeted, relevant and timely offers via social & traditional channels. The brands that understand how to better integrate their CRM programs with Social Graph data to create robust user profiles that are then the basis for executing their marketing strategy will be the winners. It should be noted that integration of SSO is a cross departmental effort and this is one of the primary reasons more fortune 500 organizations have not adopted this method. It will take visionary executives who understand the value of data integration to push SSO forward.